3 Beds 2 Baths 1,452 Sq. ft. This is the one 3BR/2BA VILLA, NESTLED AMONG THE OAKS. Discover CALUMET, a unique community of only 66 homes. Entry is through the Enclosed, COVERED GARDEN PATIO. This is a Spacious, Open Floor Plan, with VAULTED SOARING 15 FOOT CEILINGS & ARCHED WINDOWS. The Living Room has a WOOD-BURNING FIREPLACE. NEW A/C 2016. Spacious Eat-in Kitchen has NEW Quartz Counter-tops & Stainless Steel Appliances. All the Bedrooms have over-sized ARCHED WINDOWS & high ceilings to give a light & airy feel. There are WALK-IN CLOSETS & WHITE RAISED PANEL DOORS. This is a most appealing, Split Floor Plan! MAINTENANCE FREE LIVING here, gives you plenty of time to relax in the COMMUNITY POOL, or spend some time in the CLUBHOUSE. There's a LIBRARY & EXERCISE ROOM. NO AGE RESTRICTIONS & OWNER PET ALLOWED. This is a stunning complex - winding tree-lined streets, clustered behind a privacy wall, with night-lit globes to guide your way! All the amenities you could wish for are close by. 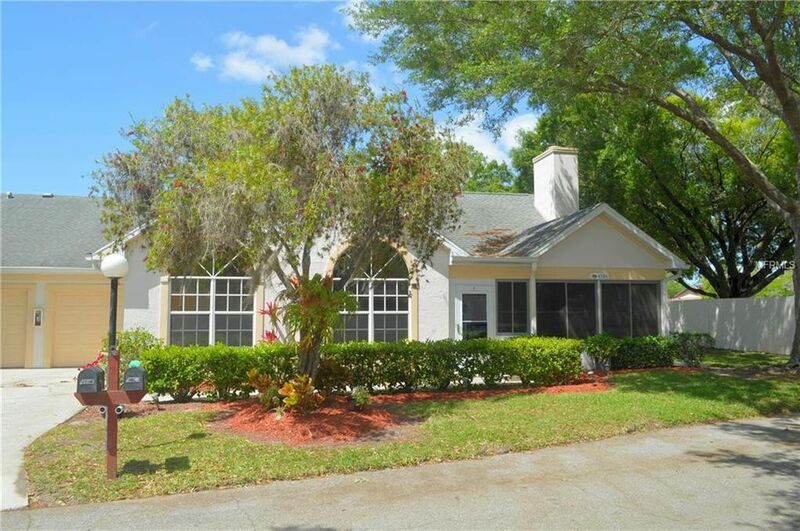 5 miles to Siesta Key Beach and close to shopping, dining, golf, hospitals & doctors. One look & you'll fall in love. Directions: Cattlemen Rd South of Bee Ridge to right on Wilkinson Rd. Left on Whirlaway. 1st villa on Right.